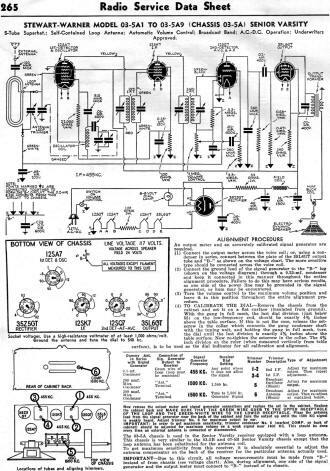 I have been scanning and posting Radio Service Data Sheets like this one featuring the Stewart-Warner Model 03-5A Senior Varsity Radio receiver for many years now. There are still many people who restore and service these vintage radios, and often it can be difficult or impossible to find schematics and/or tuning information. 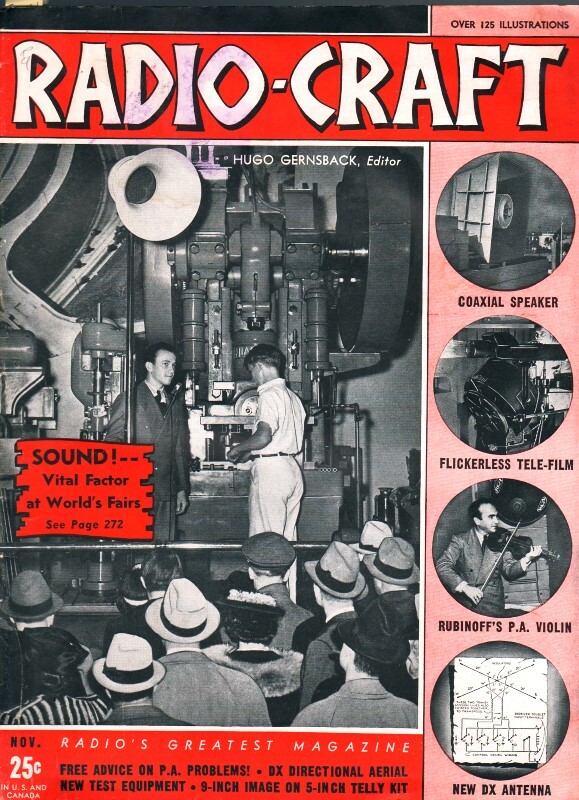 The thumbnail image of the Stewart-Warner Model 03-5A Senior Varsity Radio came from the RadioAttic.com website. An output meter and an accurately calibrated signal generator are required. (1) Connect the output meter across the voice coil; or, using a con­denser in series, connect between the plate of the 35L6GT output tube and "B-" as shown on the voltage chart. The more sensitive type should be connected across the voice coil. 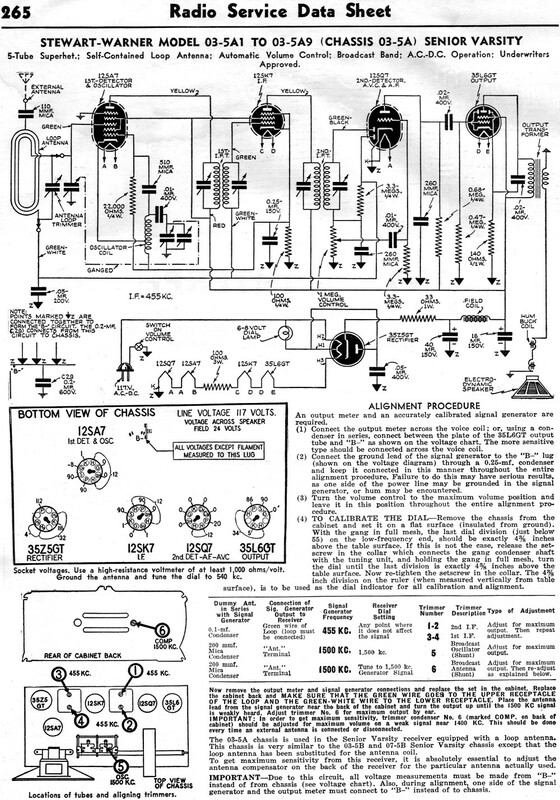 (2) Connect the ground lead of the signal generator to the "B-" lug (shown on the voltage diagram) through a 0.25-mf. condenser and keep it connected in this manner throughout the entire alignment procedure. Failure to do this may have serious results, as one side of the power line may be grounded in the signal generator, or bum may be encountered. (3) Turn the volume control to the maximum volume position and leave it in this position throughout the entire alignment pro­cedure.